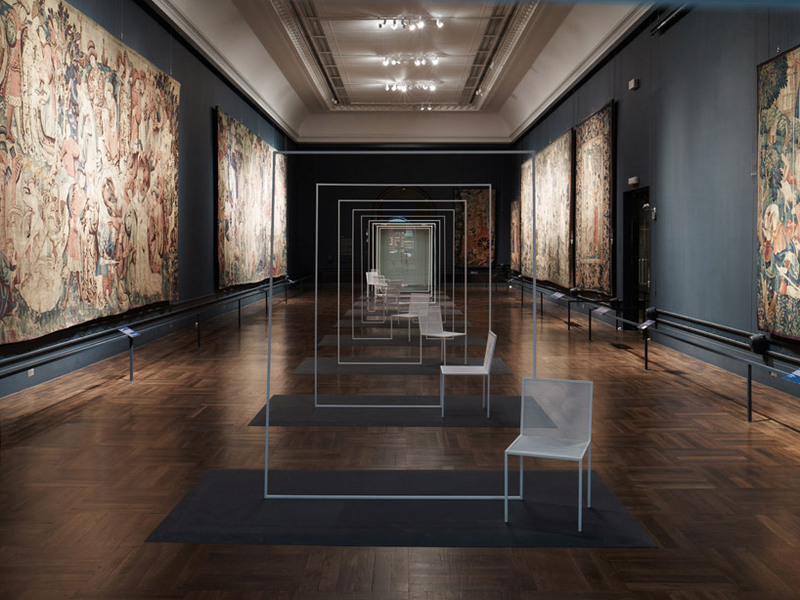 Nendo’s project is titled Mimicry Chairs and comprises a series of elegant chair installations appearing in varying locations throughout the ever amazing V&A Museum for the London Design Festival 2012. 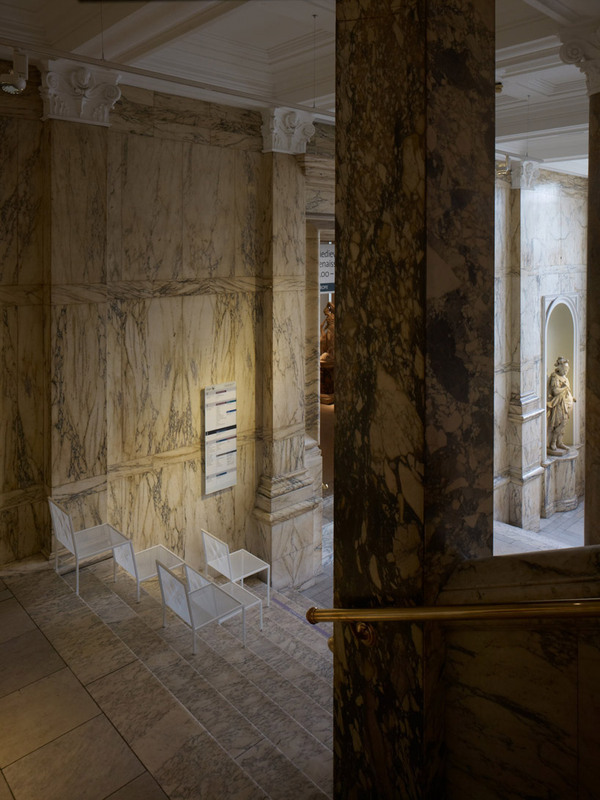 I just LOVE the contrast of the ethereal, evolving, ghost-like chairs and the often ornate museum. They look so at home, marching through the classical space. I love when I have the opportunity to explore these stunning juxtapositions in my interiors work. I hope I have more of them in the future! 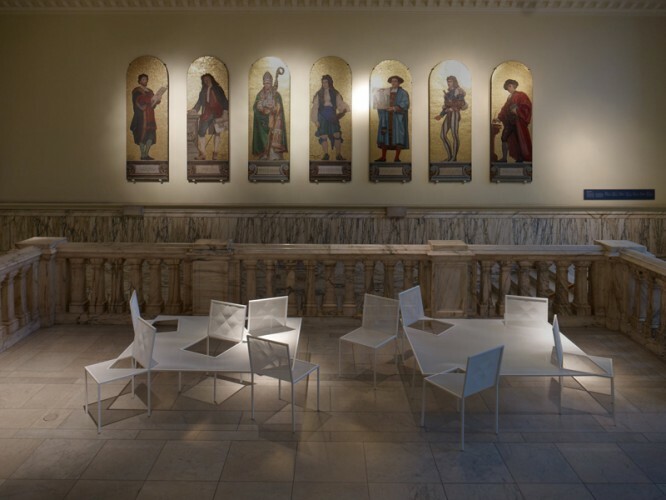 Back to the chairs though -- their simple archetype is made from pressed and punched metal which has been finished in white to give it that clean, transcendent look. Gorge! 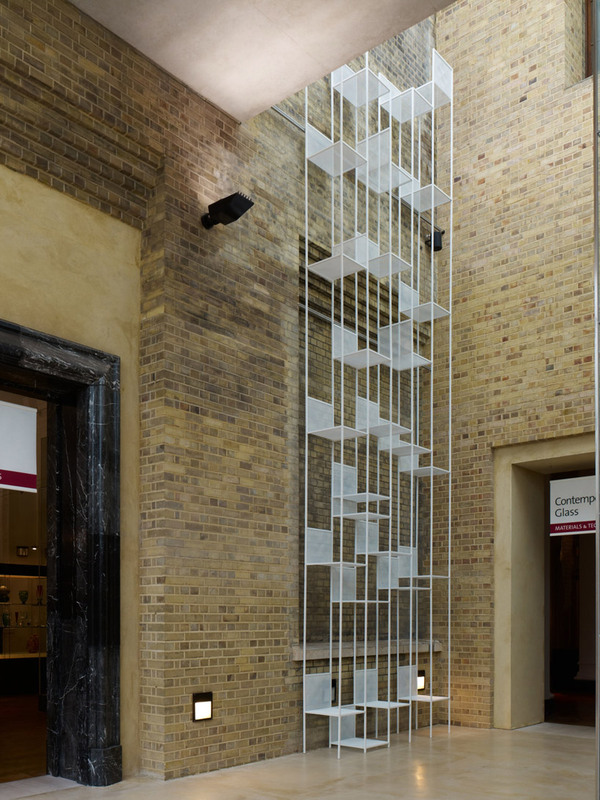 Oh, and not that you need it, but here are 20 other good reasons to visit the Victoria & Albert Museum.